Remains plugged into the USB port of any Ag controller. Transports Data between the field and office via the user's smart device or any trusted WiFi network including that of a mobile hotspot. Drives are numbered sequentially for each account, i.e., AGBRIDGE1, AGBRIDGE2, AGBRIDGE3, etc. Each AGBRIDGE1 Drive can be assigned 5 alias names and used in up to 5 machines. AGBRIDGE™ has teamed with Verizon to select an enterprise level mobile hotspot capable of withstanding the demanding environment of agririculture operations. Each unit is equipped with upgraded low profile antennas, a patch antenna for fleet tracking, and an aluminum mounting plate for easy installation. Can be used with a user's own data plan or with a Verizon plan issued and managed by AGBRIDGE™. Low-cost data plans of 8, 9, 10 & 12 months available. Plugs into one of the unused USB ports on the AGBRIDGE™ Drive for use with controllers equipped with compact flash cards. 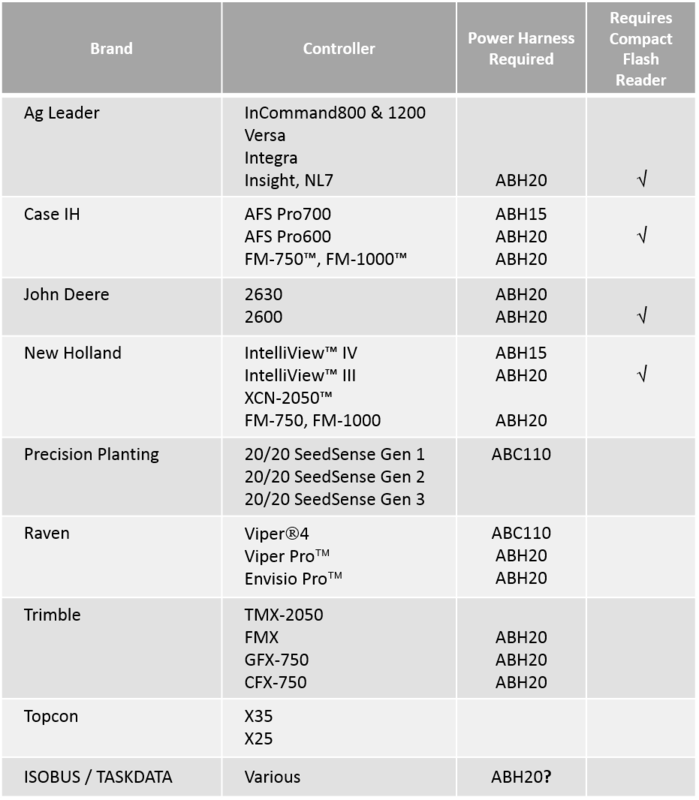 Required when connecting with Case IH AFS Pro700 and Intelliview IV controllers. Includes a 3 pin weather pack for 12V source power, a 2 pin weather pack for 12V power to a mobile hotspot, and a barrell connector for 5v power to an AGBRIDGE Drive. A time delay relay maintains power to a Drive and hotspot for 30 minutes to allow agbridging after machine shutdown. Required when connecting with Ag Leader Insight & NL7; JD 2600 & 2630; Case IH Pro600; Trimble GFX750, CFX750 & FMX. 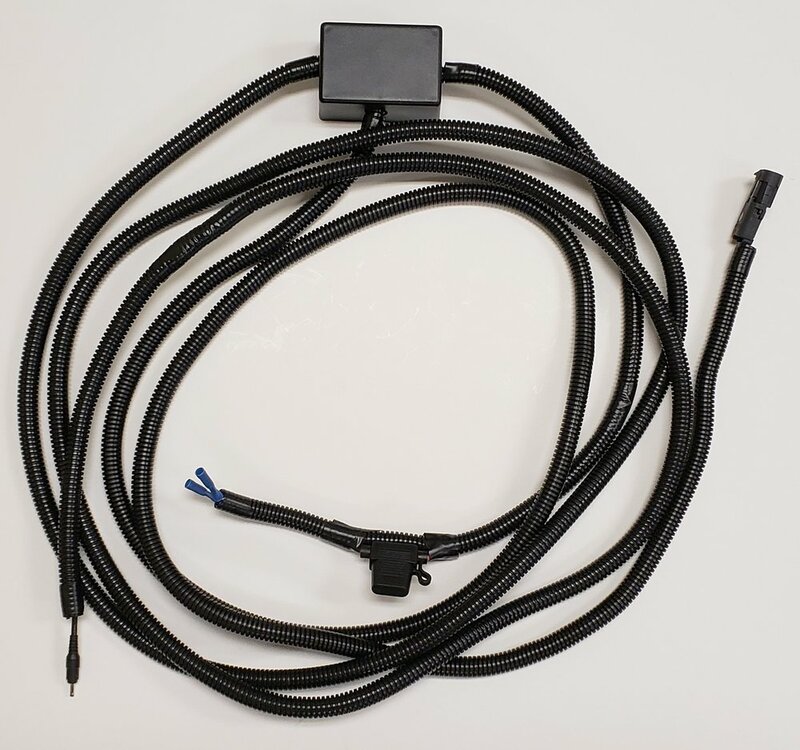 Includes a 2 wire lead for switched 12V source power, a 2 pin weather pack for 12V power to a mobile hotspot, and a barrel connector for 5v power to an AGBRIDGE Drive. Power harness for powering an in-cab mobile hotspot. Includes a 2 wire lead for switched 12V source power and a 2 pin weather pack for 12V power to a mobile hotspot. Required for powering an AGBRIDGE Drive when connected to a Gen 1 20/20 SeedSense, a Raven Viper4, or Raven Viper4+. Insert each of the male USB's into the USB ports on the display and connect the female end to the USB cable supplied with an AGBRIDGE Drive. 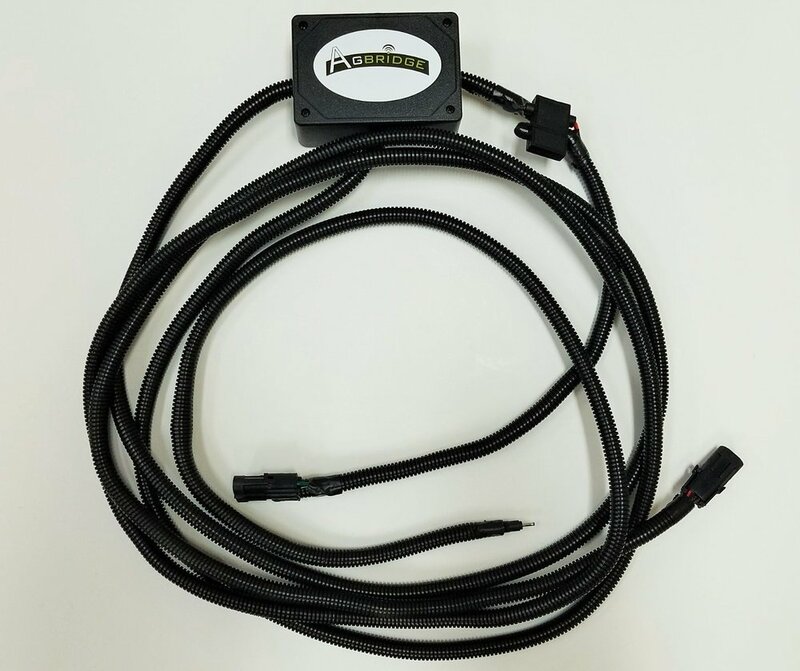 Provides an alternative method for engaging an AGBRIDGE Drive into file transfer mode when connected to a John Deere 2630 display. Use this cable when a mechanical switch is preferrable to using the AGBRIDGE mobile app to launch the display into file transfer mode.